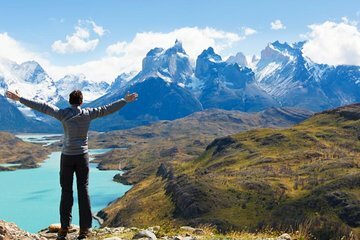 Experience Torres del Paine National Park on a five-day self-guided tour. Witness the towering granite monuments for which the park is named and visit park highlights, like Cuernos del Paine, the Francés Valley, and Grey Glacier, the southernmost tip of Patagonia’s Southern Ice Fields. Enjoy transportation, refuge accommodations, meals and a catamaran trip on Pehoé Lake—all included in this memorable, multi-day hiking excursion.